The Battle of Solway Moss took place on this day, 24 November, in 1542 on the banks of the River Esk between the English and the Scots and resulted in a humiliating defeat for Scotland. 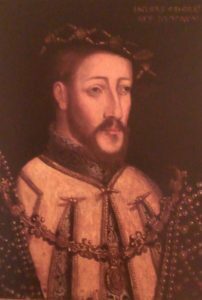 James V of Scotland was the nephew of Henry VIII of England through the marriage of Margaret Tudor, Henry’s sister, to James IV of Scotland. Despite this kinship, James did not enjoy a good relationship with his uncle, especially after Henry VIII broke from the Catholic Church. James V was intolerant of heresy and several prominent Protestants were executed during his reign, including Patrick Hamilton, who was burned at the stake as a heretic at St Andrews in 1528. 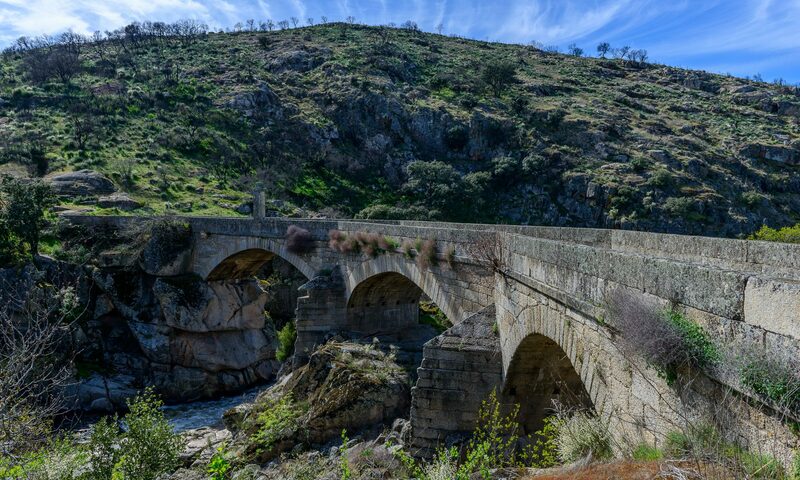 Despite encouragement from England to follow Henry’s example and close the monasteries, James chose to pursue his own course and appeared to have allied himself firmly with the Pope and the French King. This impression was strengthened when in 1541 James failed to arrive for a pre-arranged meeting with Henry at York. Henry chose to regard this as an insult and sent troops to raid into Scotland. James retaliated by giving Robert, Lord Maxwell who was the Scottish Warden of the West March the job of raising an army. On 24 November 1542, an army of 15,000–18,000 Scots advanced into England. Lord Maxwell declared he would lead the attack in person but reports suggest that the leadership was contested by Oliver Sinclair, the King’s favourite. Whatever happened, the command structure seems to have failed and the Scots were disorganised and unprepared for the English attack. Led by Lord Wharton with 3,000 men, the English met the Scots near Solway Moss. After an initial cavalry charge, the Scots moved down towards Arthuret Howes and found themselves penned in south of the Esk, between the river and the Moss, which was a peat bog. After intense fighting, the Scots surrendered along with 10 field guns to the English cavalry. It seems that some of them may have drowned in the river or the marshes. James, who was not present at the battle, withdrew to Falkland Palace humiliated and ill with fever. The news that his wife had given birth to a daughter instead of a son further crushed his will to live, and he is reported to have stated that the House of Stewart “came with a lass and will go with a lass”. He died at Falkland two weeks later at the age of thirty. Some historians have estimated that only about 7 Englishmen and 20 Scots were killed, but some 1200 Scottish prisoners were taken including Oliver Sinclair, the Earls of Cassilis, Glencairn and Maxwell. Some of the higher ranking Scottish lords were released, sending hostages into England in their place. Most of them were well treated and efforts were made to bring them over to the English cause. The battle was not Henry VIII’s last foray into Scotland. With James dead and a baby girl now Queen, Henry sent the Earl of Hertford with an army to try to force a marriage between his son Edward and the infant Queen. The resulting wars, known to history as the wars of the Rough Wooing, were interrupted by the death of Henry in 1547 but continued by the protectorate. The last pitched battle between Scottish and English armies, the Battle of Pinkie Cleugh, took place on 10 September 1547 on the banks of the River Esk near Musselburgh, Scotland. It is considered to be the first modern battle in the British Isles and was a catastrophic defeat for Scotland, where it became known as Black Saturday. Despite this, the Scots refused to surrender their infant Queen and managed to smuggle her away to France where she spent her childhood, eventually marrying the Dauphin. At the beginning of A Marcher Lord, Will Scott and Sir Thomas Rutherford are preparing to march out to the battle of Pinkie Cleugh. The stakes are high for both sides. The battle of Solway Moss is recent history. Rutherford and Scott both fought at the battle and Scott lost his father. In addition, rumours that some of the families held in England had turned traitor against the Scottish crown have reached Scotland, and nobles loyal to the crown are on their guard. Into this atmosphere of suspicion and fear comes Jane Marchant, a girl raised in the mercenary bands of Europe with loyalty to neither side. 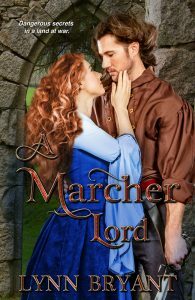 For her story, read A Marcher Lord, the first book in the Borderers Saga, available on Amazon kindle or in paperback. The second book in the Borderers Saga, The Queen’s Lady, will be published in 2018.